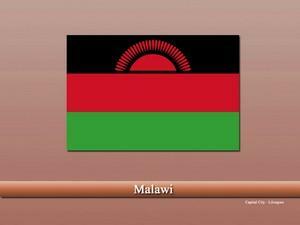 Malawi, officially the “Republic of Malawi” is a small country in Southeast Africa. Physically, the country is landlocked and is bordered by the other African countries of Tanzania towards the Northeast, Zambia towards the Northwest while Mozambique lies towards its East, West, and South. Around one-third of the country’s area is covered by the “Lake Malawi”. The country is ranked as one of the least-developed countries in the world having a poor quality of life, struggling economy and several health issues. Humans have inhabited the regions of modern “Malawi” for thousands of years but their exact history of well known. Bantu people settled in the region during the period of “Bantu migration” in the 10th century. Prior to their arrival, the region was inhabited by some hunter-tribes. 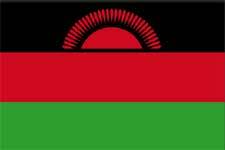 As the time passed, different tribes were formed in the region which later allied to make the “Kingdom of Malawi”. The region also had active trade with the Arab traders and later on with the Portuguese. As the European interest in the region increased, the British finally colonized Malawi, declaring it a British protectorate in 1889. The British hold in the region continued till 1964 when the country finally declared its independence. The country has a unique and beautiful topography featuring lush green mountains, highlands, and abundant wildlife. Lake Malawi is also one of the country’s unique feature and often attracts tourist for sightseeing, boating, and fishing. Malawi is one of the least developed countries and its economy is heavily dependent on agriculture. Although, the agriculture is done best in the country, due to several issues e.g. not having a proper market, corruption, lack of proper export, etc. it is not giving proper output as it should. Some of the agricultural products include potatoes, corn, tea, sugar, tobacco, cannabis, etc. The industrial sector is under-developed. The country relies mostly on the funds given by the IMF and other several countries/organizations, etc. 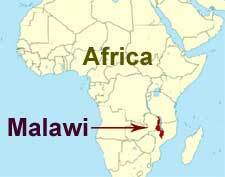 The population of Malawi is made up of several ethnic groups with some Asian and European minorities. English is the official language of the country tracing its roots back to the colonial times. Christianity is the largest religion of the country followed by Islam. Christianity was introduced during the colonial times while Islam reached the regions via traders and preachers in the middle-ages and later. Vastu for cash counters in shops? Vastu remedies for south facing homes?